"Look around you. Great masterpieces of engineering are everywhere. As soon as you get out of bed in the morning, you are putting centuries of scientific and mechanical ingenuity to use. So familiar are these structures, inventions, and services that they are all but invisible. Yet they are just as remarkable as great works such as the Parthenon, the Eiffel Tower, and the Panama Canal.One of the pleasures of Everyday Engineering is the meticulous care that Dr. Ressler has taken in preparing over 150 working models that explain everything from an arch dam to the universal joint in a car's drive shaft. He also delights in the unexpected: in the last lecture he switches gears by examining a famous case when technology failed during the Great Northeast Blackout of 2003. Triggered by high electrical demand during a sweltering summer day, a short circuit due to overgrown trees, and a software bug that disabled a control room alarm system, the cascading series of breakdowns produced the worst-ever electric power blackout in North America. This incident serves as a graduation exercise for the course. Having explored the workings of the electrical power grid in previous lectures, you'll find that you understand the crisis in perfect detail. 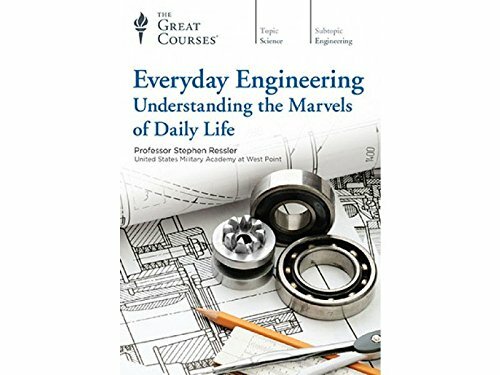 Indeed, you'll be ready to apply your broad understanding of everyday engineering to any technological issue that crosses your path in the future.